​translating social science research into web-based resources for new mothers and the health professionals who support them. (c) To help us understand how to support and celebrate breastfeeding while also helping to fight against guilt and shame for all decisions about how to feed their babies. These materials will draw upon research by Fiona Woollard (University of Southampton), Heather Trickey (NCT/ Cardiff University) and Laura Dennison (University of Southampton). 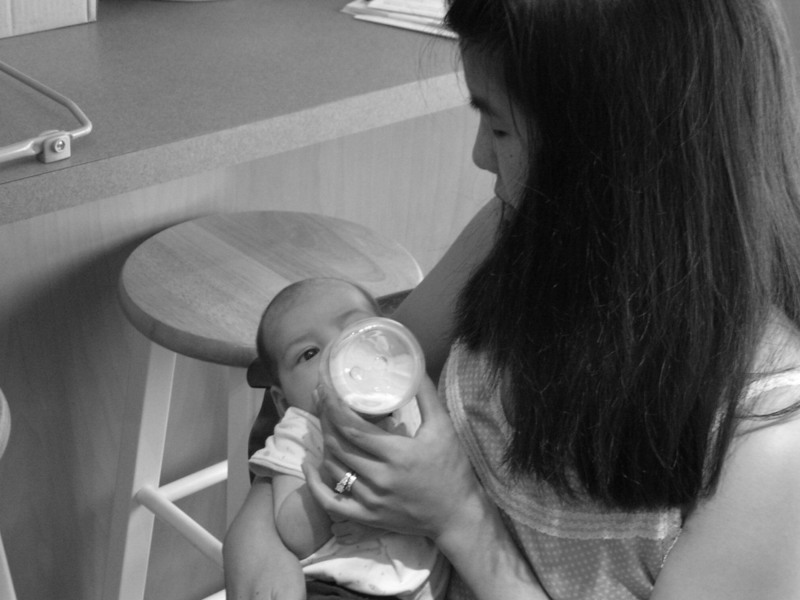 There is significant sociological evidence that new mothers feel guilt and shame surrounding their infant feeding decisions, however they end up feeding their babies. Such feelings of guilt and shame, occurring at a particularly vulnerable time, can have significant detrimental affects on the well being of new mothers. This results in ‘the Breastfeeding Dilemma’: how to promote and support breastfeeding whilst avoiding the detrimental consequences of guilt and shame. Both Woollard Trickey’s research provide ways of thinking about guilt and shame surrounding infant feeding decisions which can help NCT and BfN practitioners and health professionals to navigate discussions about infant feeding and to arm new parents against guilt and shame. Crucially, these approaches make room to fight against guilt and shame without abandoning efforts to encourage and celebrate breastfeeding. Both Woollard and Trickey’s research provide ways of thinking about guilt and shame surrounding infant feeding decisions which can help parent supporters and health professionals to navigate discussions about infant feeding and to arm new parents against guilt and shame. Crucially, these approaches make room to fight against guilt and shame without abandoning efforts to encourage and celebrate breastfeeding. We have now moved on to the second stage of our project. In this study, we are testing the first version of our resources. We want to find out whether you find the resources relevant, helpful and well-presented. We will use this feedback to improve the next version. You will then be sent a link and an access code. This will allow you to access the participants’ information sheet and an online consent form. If you consent to take part in the study, we ask you to provide some information about yourself for evaluation purposes. This information and all other information you provide will be kept confidential. You will then be asked to look at our online resources. After viewing each page you will be asked to answer 3 questions about the content and design of the resources. There will be opportunities to add your own thoughts in additional comments. After viewing all the resources, you will be asked to complete an evaluation questionnaire and will also have a chance to comment further. You may not be able to complete your feedback in one go. If you want to stop and return later to complete the study, you will need to set up a username and password. To keep your data anonymous, we will not have access to your username and password, so we will not be able to reset it for you. Please make a careful note of your username and password. Please choose a username and password that does not identify you. You will need to return and complete the study within two weeks. ​You can leave the study at any point without giving reasons. ​We hope that you will enjoy participating in the study. We have tried to ensure that the questions in this study do not cause distress. We are aware, however, that new mothers sometimes feel anxious, upset or concerned about their feeding decisions and that there is a risk that completing a questionnaire might bring those concerns to the fore. In case you do feel anxious or concerned we provide contact information for people who can talk through your concerns. To be on the safe side, we recommend that you do not participate in this study if you are currently experiencing distress or illness associated with how you feed your baby. Participation is entirely voluntary and you will be able to withdraw from the study at any time without giving a reason, simply by closing the webpage. Your GP or Health Visitor. ​This project is funded by the ESRC Impact Acceleration Account at the University of Southampton. The ESRC Impact Acceleration Account is intended to create impact beyond the academic world by exploiting social sciences research to shift perceptions and understanding of important issues of the day, and to influence policy and practice. The Royal College of Midwives also generously agreed to let us use their premises to hold our London focus groups, an in-kind contribution valued at £600. We have not received funding from any bodies associated with the marketing or production of infant formula.